Ireland has long been lauded as one of Europe’s premier angling destinations for salmon and trout fishing, and more recently pike and bass fishing. The abundance of natural fishing spots available; rivers, lakes and seas; means your fishing day is disturbed only by a curious member of nature’s creatures. The majority of our waterways have been untouched by industrial pollution, and although there has been an upsurge of angling visitors to our shores, with John’s extensive knowledge of his home waters the best fishing spots are assured. Fly fishing is one of the most pleasurable ways to catch a fish. Fly fishing in Ireland is an experience not to be missed and John will offer an unique and knowledgeable guided tour catered to your needs. 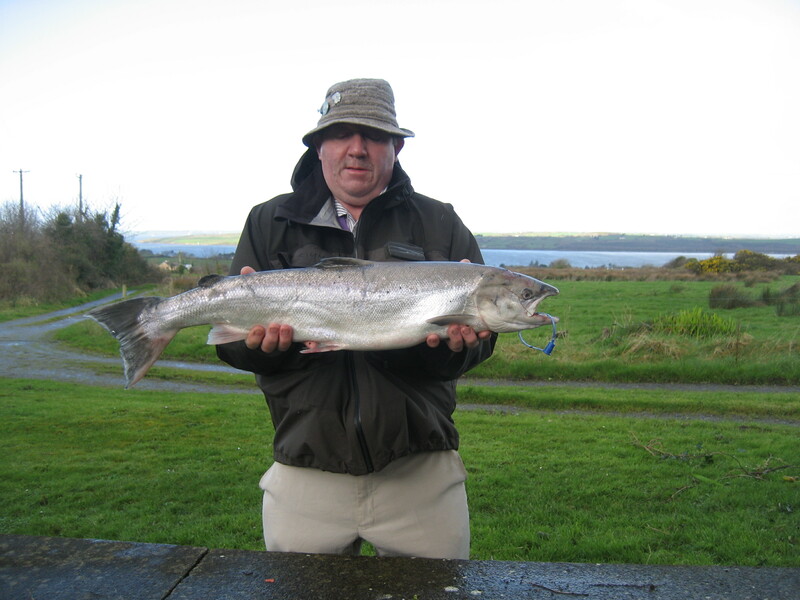 John offers a fishing guide service for the Limerick, Kerry and Clare regions, where you can fish salmon, trout, sea trout, pike and bass; as well as Autumn/Winter pike and salt-water fly-fishing. Dream of landing the big catch or enjoying the simple pleasures of the natural beauty of the Irish countryside, swopping stories with John. Talk to us today about planning your fishing holiday. Take a browse through our gallery or read what previous visitors have said. We look forward to meeting you.